It’s been a whirlwind few days here in Israel, nationally and personally. The Israeli news feed is overwhelmed with hypotheses on whether PM Netanyahu will encourage new elections here. The Knesset would have to vote to dissolve itself in order for that to happen, but it’s pretty much up to the PM as head of the coalition. Of course, there are parties whose interest is retaining power, preferring not to go to the polls just yet. There are others who call it an ideological decision, and the impetus is the discussion over the law that would enforce military service for all Jewish Israelis, including those who now have a broad exemption for Torah study – the ultraorthodox population. This is traditionally a decision made back in the days of Ben Gurion but applied only to those outstanding few scholars, perhaps not meant to grow into use for tens of thousands at a time. And personally, our story fits right into that dialogue, with our oldest son Yitzie (Hebrew for Isaac, of biblical source and named for my dad) enlisting this week. He’s part of the program that combines Jewish learning with military service – the Hesder program – of which we are proud, finding a way to pursue both higher Torah studies and physically defend our precious land. As a mom, it’s been challenging to watch him prepare and to send him off with a teary wave on Sunday. I wrote about it here. He’s now in shiny, newly-creased green uniform, a little big on him, with a (hopefully mandatory) call home as often as possible, but with the knowledge that we are wholeheartedly oh-so-proud of him. Would that his grandfather, and all the generations before, see their boy now. We invite you to delve into some of the stories posted this week, including a historic potential gas deal that has the giant Shell corporation making good on the relative quiet in the Middle East, for economic growth. Read up on the latest for battling calls to boycott Israel again and again, as the villain, when there are so many evils to fix in the world. And finally, spring continues to creep up on us with beautiful blooms and sunny days, that just call to us to enjoy the fresh air of these biblical hills. 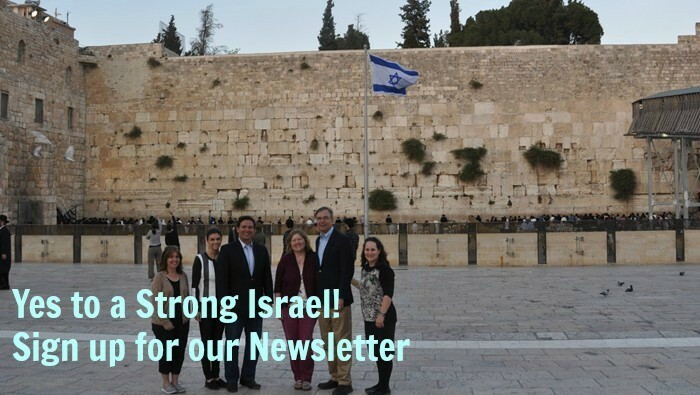 Enjoy, and join us as soon as you can by letting us know if you can take part in an upcoming delegation to Israel! In exclusive interview, Azerbaijan’s Ambassador to the United States Elin Suleymanov discusses Jerusalem, Iran and its strong ties with Israel. According to Bloomberg, Shell is in talks to buy 10 BCM annually from the Israeli and Cypriot reservoirs.